Get early creative juices flowing with SES’s My First Hammer Tap Tap activity kit! Yep, that’s right! 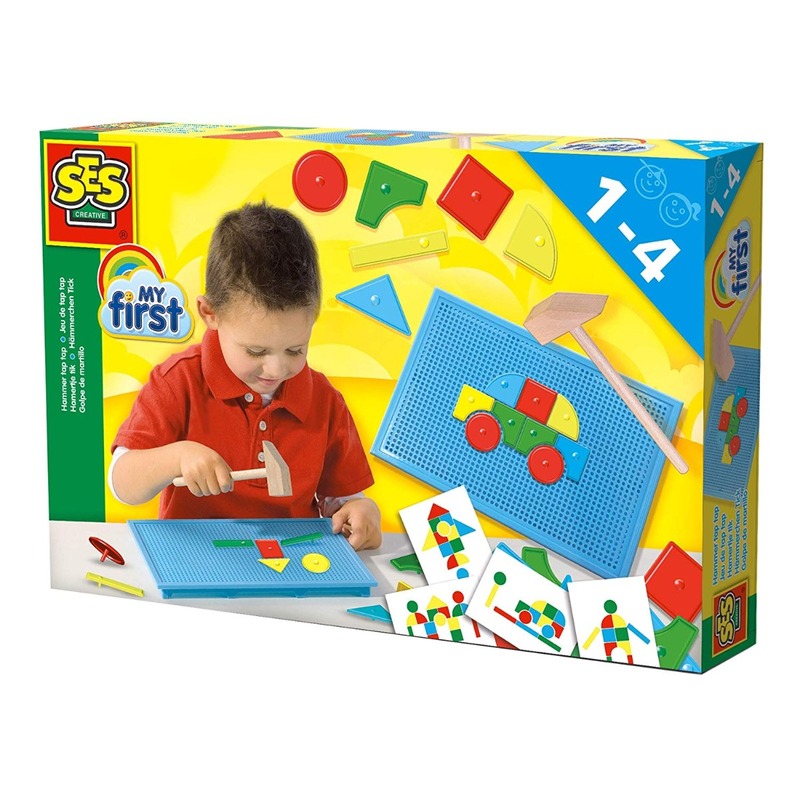 This SES classic is now available even for our youngest tots! With eight different diagrams to replicate, all those little hands need to do is pick up hammer, choose the corresponding shapes, and tap them in to the pegboard! No nails required! To stimulate creativity, encourage your little ones to come up with their own masterpieces. More than just manual dexterity and eye-hand coordination, you’ll find this nifty kit an excellent aid in developing the imagination and creative thinking too!